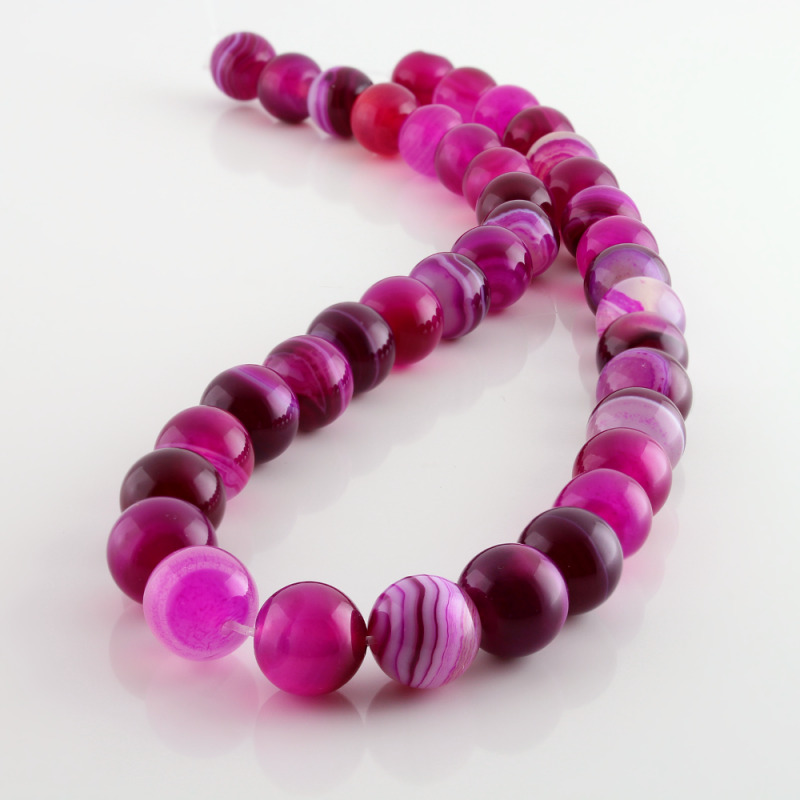 Pink agate round beads strung. 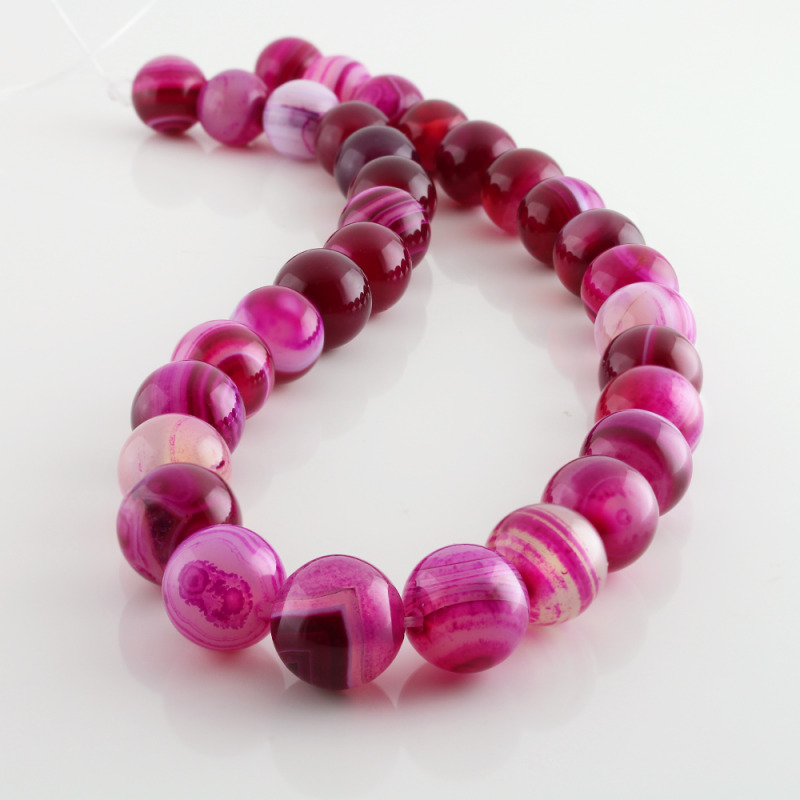 Natural agate beads and dyed with holes to assemble necklaces or bracelets. 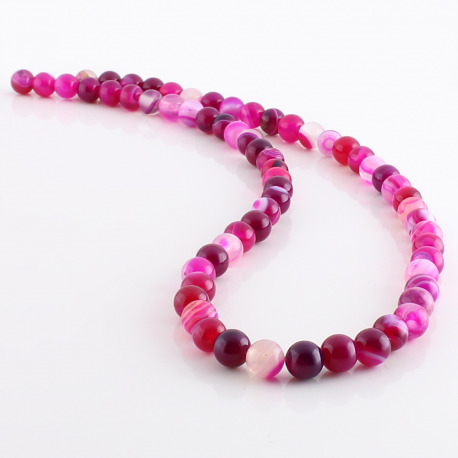 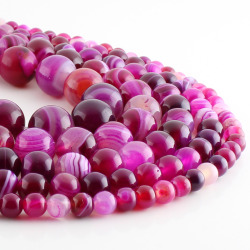 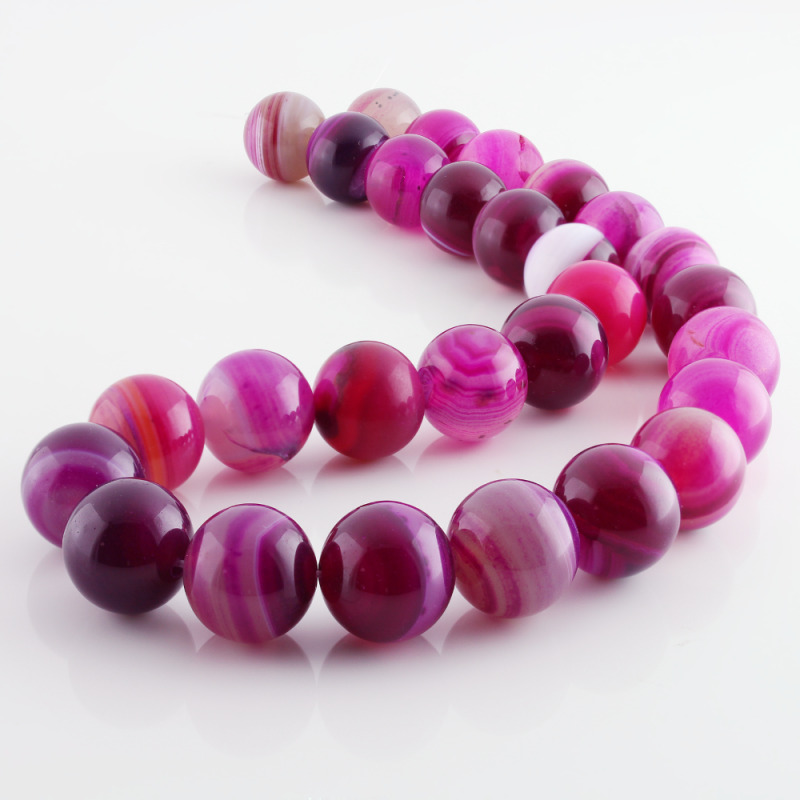 Pink agate balls come in strips about 40 cm. 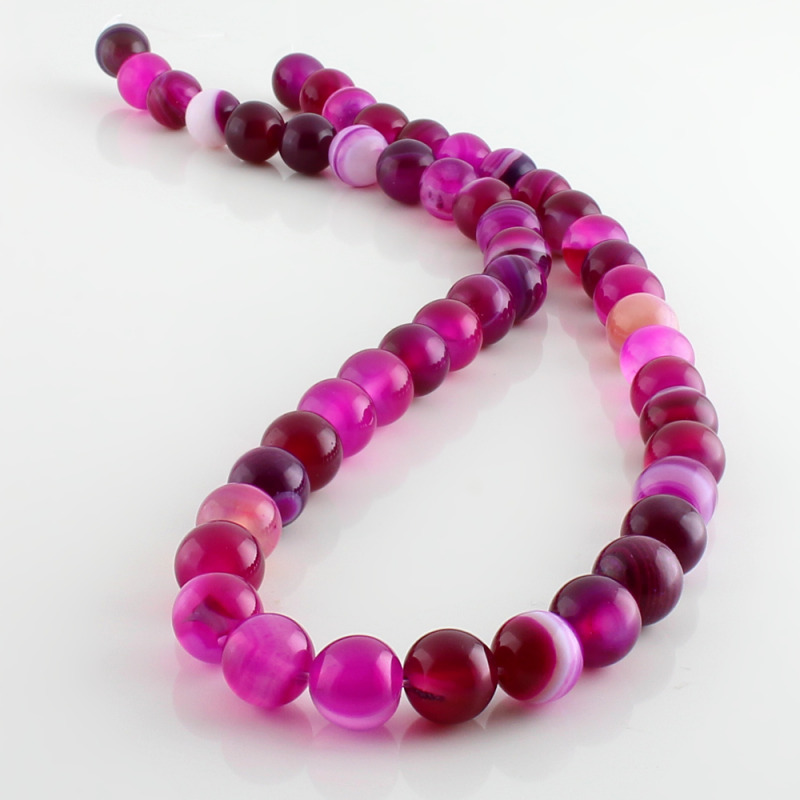 Various sizes of beads available. Agate is bright pink and have natural veins.